Mercer’s Dairy in New York started selling wine ice cream in 2007. 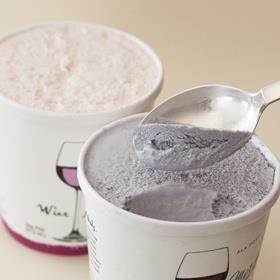 Here is the scoop on Wine Ice Cream from Mercer’s Dairy contains 5% alcohol and can be purchased in assorted wine flavors for about $7 a pint. “This will revolutionize break-ups and girls’ nights” according to Kerry one of my best drinking buddies that currently lives in Queensland, Australia. 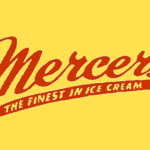 In the USA Mercer’s Wine Ice cream is sold by the pint and is available in multiple flavors: Ala Port, Cherry Merlot, Chocolate Cabernet, Peach White Zinfandel, Red Raspberry Chardonnay and Royal White Riesling. 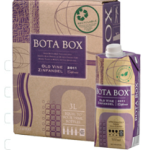 Due to the 5% alcohol content, in the USA one must be 21 years of age to enjoy this product. 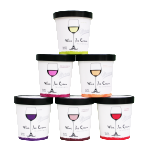 A 6 pint ice cream wine flight (sampler) can be purchased online for $34.50 USD from www.shop.wineicecreamsales.com or you can have your wine ice-cream delivered overnight packed in dry ice anywhere in the USA by calling the Mercers Dairy directly at 866.637.2377. 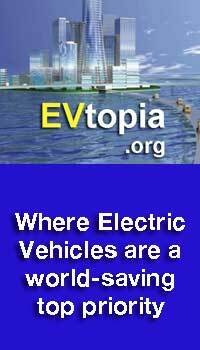 One could also visit the dairy in person as it has been around for 60 years if you happen to find yourself near: 13584 NYS Route 12, Boonville, New York 13309. The Ice Cream Shop is open 7 days a week from 10 am – 6 pm. 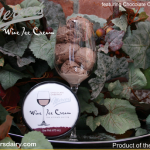 Mercer’s Wine Ice cream was awarded ‘Best New Product” at the Great American Dessert Expo and has received the prestigious American Masters of Taste award from Napa Valley. 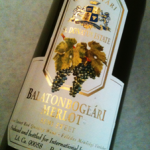 Mercer’s Wine Ice cream has also been written up in: Wine Enthusiast, Restaurant Business Magazine, Culinary Trends, US News & World Report, Wine 21, United Hemispheres and the Progressive Grocer.